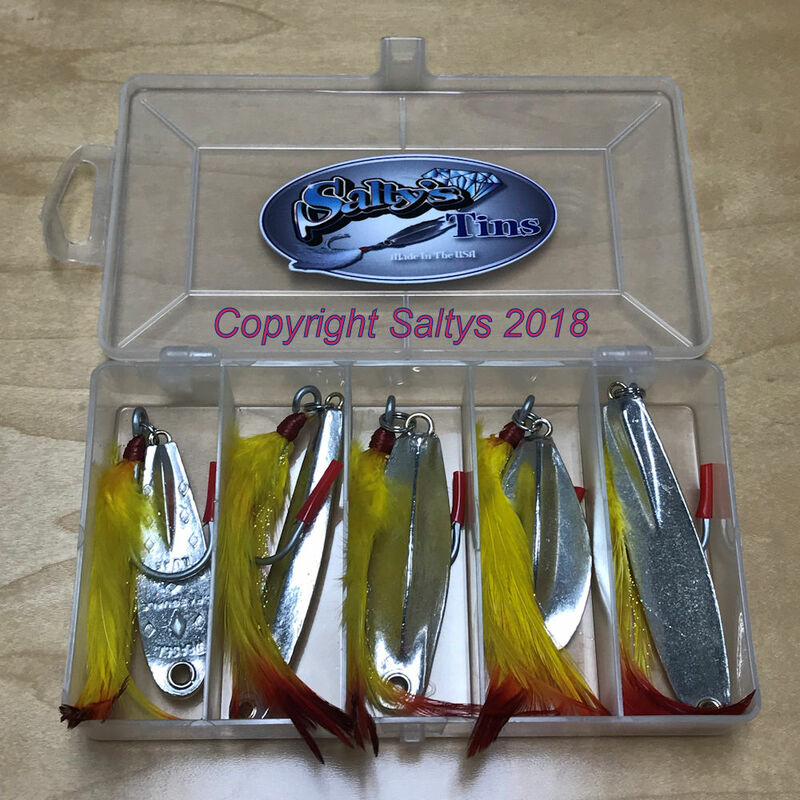 Salty's Lure Paint Now Available! Bright colors, Chip resistant finish, fast drying! Just in time for Christmas....Limited Edition Firetail Tins. There will only be 15 sets made. 100% Tin! Will be up on the site this week sometime! 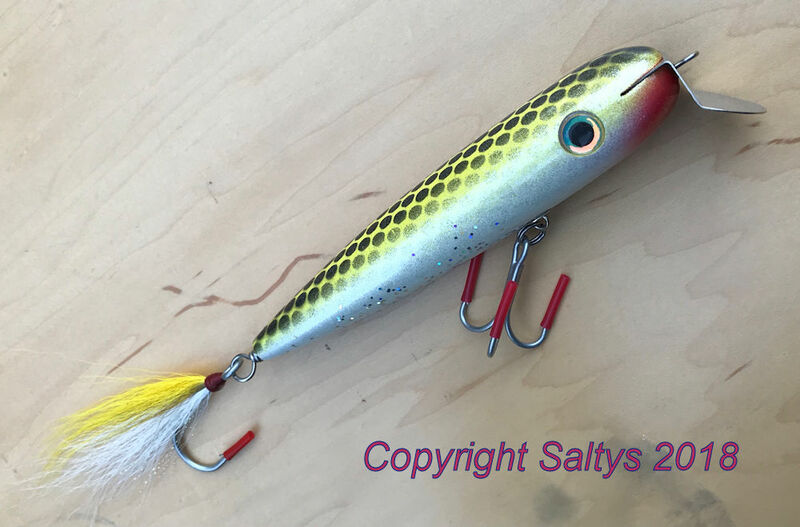 We will have another Limited Edition Lure done shortly also...Electric Yellow Jacket color in our round nose swimmer. I took a video of these today, need to edit this and upload. SICK. 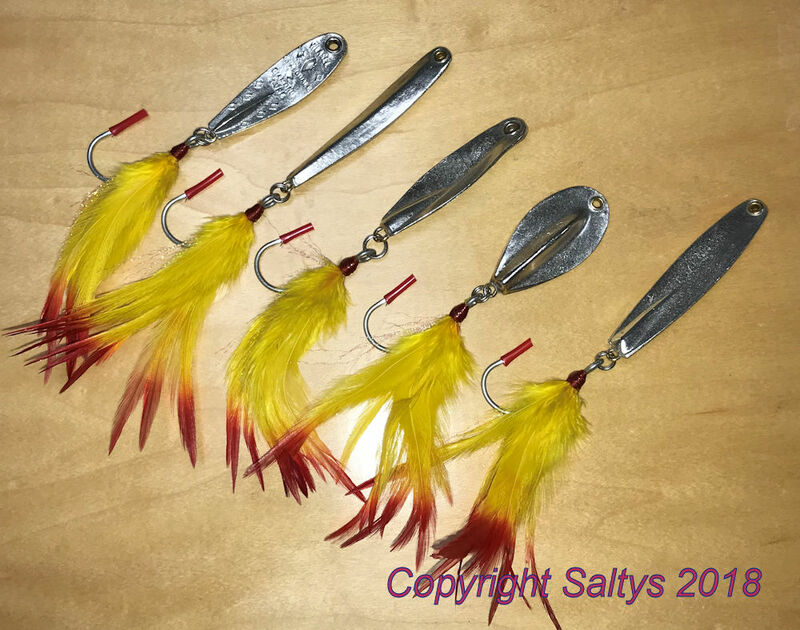 I showed it to someone this morning and the comment was "If I was a bass I'd inhale that thing" Sweet I hope to have some of these finished sometime in the next two weeks. I did a few of these for show with a new kind of opalescent glitter with a comparison to our existing multi color glitter. Wow. I'll try to get the upload done this week and post on the site. 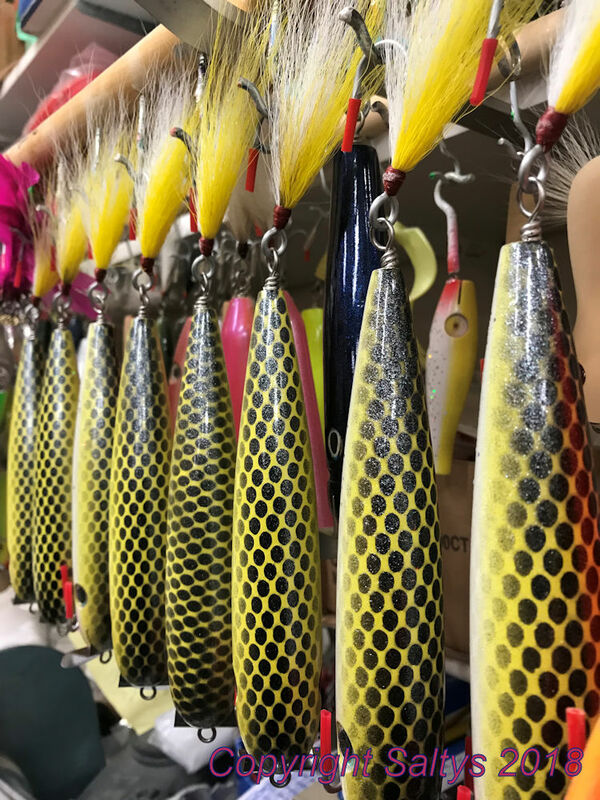 Totally unrelated trivia....Did you know the yellow jacket is the only stinging insect that doesn't have a barb on it's stinger. The things can sting multiple times. Witness to this when I once stepped on a YJ nest! Peanut butter is the best thing to stop the sting. rub it on. The oil somehow acts as an anesthetic?